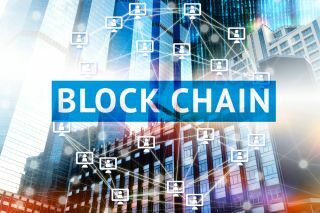 Utility organisations’ interest in blockchain technology is rising. The energy industry is trending towards a distributed yet connected future. With this comes many digital optimisation opportunities, be that technologies like the Internet of Things (IoT), artificial intelligence (AI) or blockchain. As such, utilities are ramping up their digital initiatives in order to remain competitive in the evolving energy landscape. And, to this end, utility organisations’ interest in blockchain technology is rising. Blockchain is the popular term and overhyped concept now tossed around as a radically new method of capturing, exchanging and tracking data and, therefore, value. This technology has also captured the attention of many organisations and it’s now one of Gartner’s most frequently searched terms. Blockchain is the underlying protocol of bitcoin. While originally considered only a financial tool, its potential to enable digital innovation across various industry sectors is very broad. Indeed, organisations are questioning whether blockchain is as important a concept for change as the internet was to a prior generation of technologists. However, this excitement should be accompanied by a healthy degree of scepticism. Many discussions make blockchain technology seem magical, especially when advocates don't fully understand the mechanism and its limitations. However, the technology does have some powerful and innovative aspects. Although blockchain is a collection of pre-existing techniques (e.g., cryptographic hash, public key encryption and Merkle tree data structures), the nonobvious way they are assembled produces revolutionary results in terms of commercial potential. In the utility sector, blockchain has potential to enable new methods for managing how energy is distributed, accounted for and secured. For example, microgrids could become more resilient with direct peer-to-peer (P2P) interaction among assets or participants. P2P enables intelligent electronic devices to share information directly without the need for a centralised system. Also, data about the asset activity, and hence the value, can be exchanged instantaneously 24/7, giving rise to new business models and applications for many distributed energy sources, as well as increasing the security and reliability of the grid. Utilities across the globe are testing the potential of blockchain to create new business models based on microtransactions enabled by blockchain's ability to create trust between unknown peers. Such disintermediated transactions create the possibility of accelerating economic growth by leapfrogging the need to develop large-scale centralised infrastructure to track asset-related events or commodity-related transactions and process payments. One possible industry vision for digital business is for utilities to become a provider of the energy sharing economy platform. The energy sharing economy platform can be managed by a single entity, either a utility or a digitally born company such as Uber or Airbnb. In this centralised model platform, the provider can use a permissioned ledger-based blockchain to track microenergy transactions and orchestrate financial settlement. This centralised model will enable easier interaction with a digital distribution platform managed by an independent distribution network operator (IDNO) that would validate technical feasibility of proposed energy exchanges and calculate delivery charges based on congestion prices. Alternatively, microenergy exchanges between prosumers and consumers can be accomplished with an unpermissioned ledger (without a utility playing a leading role), creating a trusted environment between unknown peers. Managing energy exchanges between prosumers and consumers — either as a permissioned ledger or an unpermissioned ledger — and creating cryptographically secured distributed peer-to-peer energy exchange platforms are among the most frequent use cases evaluated in several early trials across the globe. A number of other examples of blockchain's use in the utility sector have been reported so far. However, all of those are in a very experimental and early stage. As such, they are mostly used as indications of business potential or as technology feasibility pilots. Early adopters must have reasonable expectations about what can be gained by embarking on energy-related blockchain initiatives. This can sometimes be a challenge, especially as blockchain’s journey continues to be obfuscated by hype, inflated expectations, misinformation, misunderstanding and questionable immediate value. Both the tech media and vendors have fuelled incorrect assumptions that blockchain is already being actively deployed across enterprises, and that a larger transformation is underway. This is not the case. In fact, according to Gartner's 2018 CIO Survey, only one per cent of CIOs indicated any kind of blockchain adoption within their organisations, and only eight per cent of CIOs were in short-term planning or active experimentation with blockchain. Although blockchain’s adoption is in the very early stages, there’s still strong indication that there will eventually be a variety of ways to utilise this technology. With its promise of transforming transaction flows, new ways of managing and operating distributed assets and operations, blockchain will continue to gain traction in the utility sector. But utilities should resist “fear of missing out” and must first evaluate the disruptive nature of blockchain, assessing whether this technology is immediately needed for their organisations. Rather than looking at how blockchain can enable incremental change, utilities should explore how blockchain can contribute to the creation of utility business ecosystems by examining the role of distributed ledger in creating a trusted business environment. Importantly, as blockchain technology has been highly hyped and misrepresented, utilities should be diligent when interacting with vendors that have ill-defined — and, in some cases, non-existent — offerings.